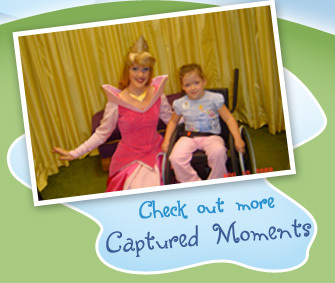 Montgomery, AL (May 2013) – Industrial Partners announced that it will be involved in sending a family on a dream vacation to Disney World and surrounding theme parks as a result of the company’s generous support of Magic Moments. Magic Moments, founded in 1984, is dedicated to making non-medical dreams come true for children who, because of unfortunate illnesses have been deprived of the joys of childhood. Magic moments are granted to Alabama children ages 4-18 diagnosed with chronic life-threatening illnesses. Magic Moments operates exclusively on donations from individuals, corporations, foundations, civic/professional groups and fundraising events to provide these gifts and dreams to children. The money raised by Magic Moments stays in Alabama and in their 29 year history have granted dreams to children in all 67 counties who meet their age and medical criteria. The family that Industrial Partners is assisting has a six year old daughter who suffers from tibial hemimelial, which required the amputation of both of her legs above the knee in 2011 at the age of four. Industrial Partners is honored to be a part of making this child’s dream come true. Frazer was appointed to the Montgomery Regional Board of Directors of Magic Moments in 2012.